Avoid appropriation, resources aplenty, and the first interview! Here comes Issue #3 of Listen and Learn! This month I am grateful to Toronto High School teacher Laryssa Gorecki, who graciously participated in this newsletter's first interview! 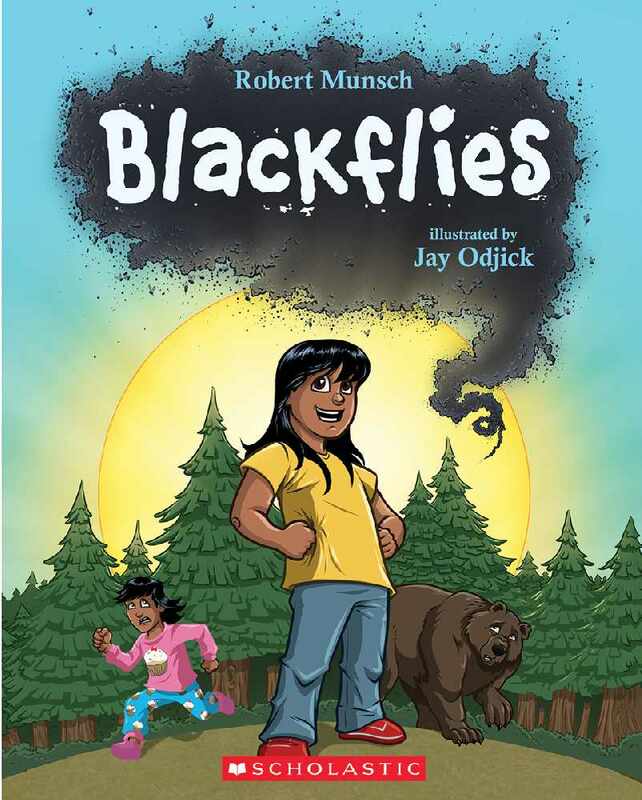 I'm also very excited that Jay Odjick, who illustrated Robert Munsch's latest book Blackflies, and Dr. Jennifer Wemigwans of Invert Media provided their views on appropriation of Indigenous content this month. Thank you both! Also new this month: The Highlight Reel, which features articles or events of note which have come up since the last issue, which can be used across the curriculum for a variety of different lessons. I've linked some of the content in Issue #3 to my new website to decrease scrolling and ensure you find what is most relevant to your work. And finally, a huge thank you to everyone who has forwarded Issues #1 and #2 to friends and colleagues! I'm honoured that you are all here with me on this journey. Your Questions - How do I avoid appropriation? Who is Angela? What is Listen & Learn? There has been a lot of buzz (see what I did there?) around Blackflies, Robert Munsch's first book set on reserve, specifically located in Northern Alberta. The illustrations were done by Jay Odjick, who is Algonquian from Kitigan Zibi First Nation. Mr. Odjick told me that he took the project "To try to open doors for other Indigenous creators and to try to show Indigenous kids a positive representation of themselves as drawn by one of their own." Read about Jay Odjick's experience illustrating the story from Windspeaker News, an Indigenous news source. Munsch has always been clear about his identity. This is not a re-telling of a teaching or a sacred story. The author is clear where the idea originated. Mr. Odjick agreed: "While Robert is non-native, there is a First Nation creator on the book in myself; and in truth this presents a unique opportunity to show that there IS a market for First Nation content that would surpass say, just me writing and drawing as Robert is a HUGE name in the field." At the time of publication, Blackflies was #4 of the CBC CANADIAN KIDS bestseller list. Congratulations Jay! How can I highlight Indigenous artists in my classroom? How do these artists want to be identified? How can these artists become a starting point to learn more about their communities? One question that emerged in many of my presentations this past month was, how can my students see Indigenous peoples as something other than victims? In response, I suggest highlighting the resilience and resistance of Indigenous peoples, especially young people, and bringing their stories into the classroom. 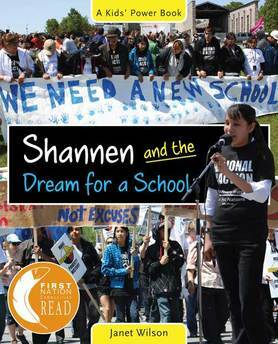 Part non-fiction novel, part scrapbook, Shannen and the Dream for a School, tells the true story of Shannen Koostachin (Mushkegowuk/Swampy Cree - Attawapiskat First Nation) one of the young people who fought for a new school in her home First Nation. The book includes recent and historical images of Shannen and her family, related newspaper clippings, a timeline and a historical section at the back. How can my students come to see Indigenous peoples as more than victims or people to be pitied? Where are opportunities to focus on Indigenous resistance and resilience? Click here to download and listen to my interview with Laryssa! This month I conducted my first interview with Laryssa Gorecki, an English teacher at James Cardinal McGuigan Catholic High School in Toronto. She's been incorporating Indigenous content into her classroom in the West end of the city, and finding that her students from all different backgrounds are finding points of connection to the material. Laryssa speaks to us about her unit, and addresses questions any teacher might have, including navigating her role as a relatively new learner in this area. The unit on Truth and Reconciliation examined the implications of using arts-based activities, including music, drama, and picture books, as a means to build student capacity for intercultural understanding, empathy, and mutual respect. Through an aesthetic approach, students actively engaged with the themes found in various artwork, songs, and narratives by Indigenous authors and artists. The unit culminated with a project expressing cognitive and aesthetic growth in our student community. The work of Kathleen Gould Lundy such as Teaching Fairly in an Unfair World. 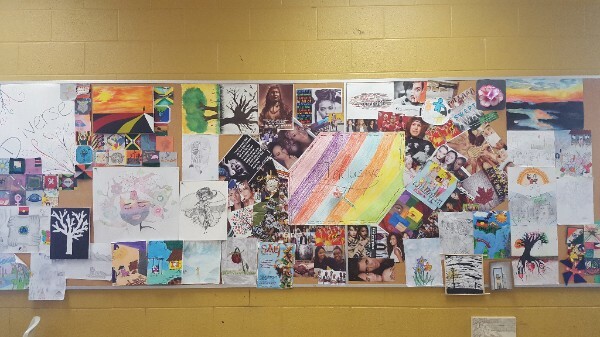 Above: Students created final projects which displayed their learning in the unit. 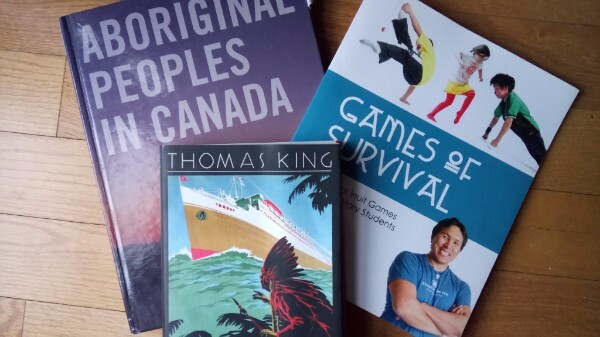 Thanks to Jeff from Goodminds.com who alerted me this month that his popular online bookstore also has a section of books about Indigenous topics in French! HOW DO I AVOID APPROPRIATION? One of the most frequent questions I get from teachers is about appropriation. Click here to read my response! Instead of looking at one issue in-depth, I decided to include news and events this month that caught my eye, and could be of use in your teaching! In the Globe and Mail, food historian Dr. Ian Mosby published an article, "We are what we ate: Canada's history in cuisines" which begins and ends with a look at First Nations staples, and notably, how they are tied to Canadian colonial tactics and reconciliation. Dr. Mosby is known in part for his work confirming that nutrition experiments were conducted on the children in Residential Schools. On March 10, celebrated author Richard Wagamese (Ojibway, Wabaseemoong First Nation, Treaty Three) passed away. View a speech he gave in 2015 about his writing craft when accepting the Matt Cohen Award: In Celebration of a Writing Life. Read Wagamese's entry in "Speaking My Truth" a project by the Aboriginal Healing Foundation. 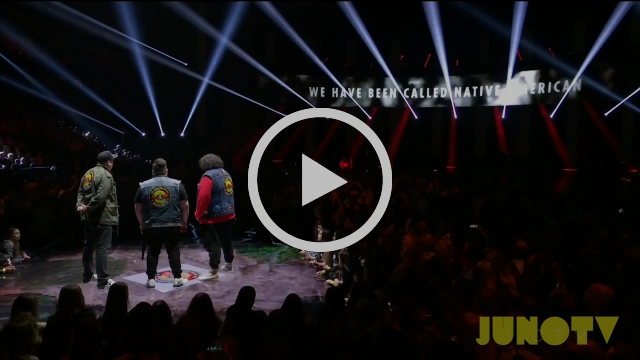 A Tribe Called Red, Tanya Tagaq, and the Black Bear Singers opened the Juno awards on April 2, with one of the most exciting performances that night. A Tribe Called Red are known for their "electric pow wow" style and Tagaq (Inuit - Iqaluktuutiaq/Cambridge Bay) has won the Polaris Prize for her music which features her throat singing. The performance brings metaphor and political statement together, and blends traditional and contemporary styles. 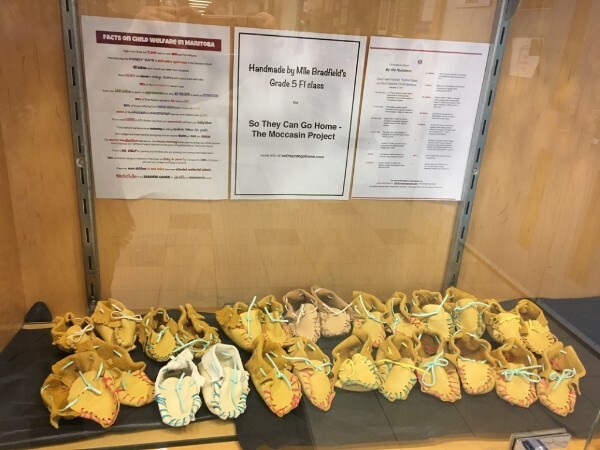 If you are looking for ideas to get your class involved in some hands-on learning about colonialism and racism, check out the Moccasin Project which is raising awareness about the high apprehension rates of Indigenous children in Canada (with a particular focus on Manitoba). 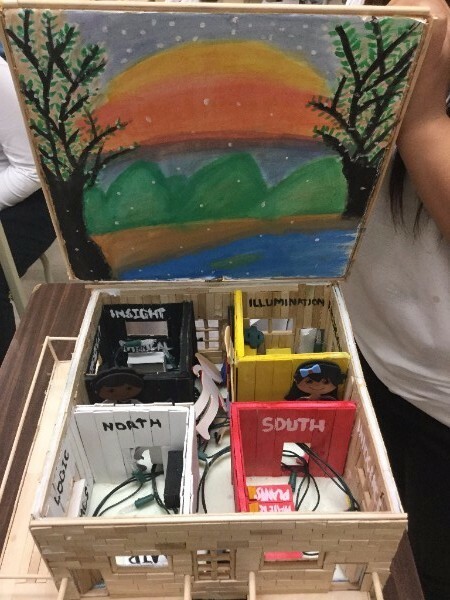 To read about the work they have done in classrooms in Ontario click here or learn about how you can get your classroom involved! Moccasins made through the project are seen in this video from APTN about Indigenous child welfare reform in Manitoba. The folks at the project have even done some of our homework for us, finding links to the grades 1 through 10 curriculum to the work of the project. This year, I've had the opportunity to speak with teachers, administrators, and parent groups about bringing Indigenous content into classrooms. I also run workshops with students from K to 12. To find out more about me, head over to my new website www.angelanardozi.com. or you can contact me at angela.nardozi@gmail.com. I would love to get your feedback about what you want to see in Listen & Learn! Fill out this short survey and let me know what you to see featured! Angela Nardozi is a guest on Turtle Island who is Italian-Canadian. She has spent almost a decade working alongside Indigenous communities and with non-Indigenous educators. 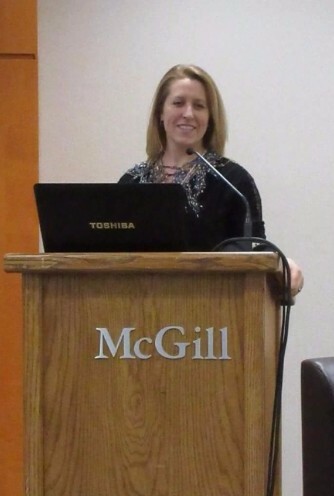 She is a certified teacher and received her Ph.D. in Education from OISE/UT. She is now a consultant and coach. For more information about her services email her at angela.nardozi@gmail.com. The purpose of Listen & Learn is to inspire teachers to incorporate Indigenous content in their curriculum, share resources and ideas, create a space for different stories and voices, and to update folks on what Angela is up to! Copyright © 2017 Angela Nardozi, consultant & coach, All rights reserved.